Regular exercise helps ward off serious diseases like cancer, stroke, diabetes, heart disease, osteoporosis, and more. It improves your immune function and decreases the amount of time it takes the body to heal from illness and infections. Seniors who exercise regularly also heal from wounds faster than those who do not. As you grow older, your risk of falling increases. Even worse, a fall often results in serious injury. Breaking a hip or other bone could rob you of your independence. A senior exercise regimen helps minimize this risk by improving your strength, flexibility, balance, and coordination. After only a few weeks of exercise, the neurons in your brain start to increase. This helps improve memory and cognitive function. In fact, numerous studies have found regular physical exercise can help keep you from developing dementia and other forms of cognitive impairment. It’s important for seniors to have personal relationships and engage with others on a social level. Joining group fitness classes, walking clubs, and other fun group activities will help you meet new people who you’ll see on a regular basis. Not only will your new social life decrease the chances of loneliness and depression, it can also make exercise feel like fun, instead of like a chore. A senior exercise regimen improves quality of life in many ways. Each time you exercise, your body creates “feel good” hormones called endorphins. These boost your mood and help combat stress. Regular exercise can also help you sleep longer and with fewer interruptions. 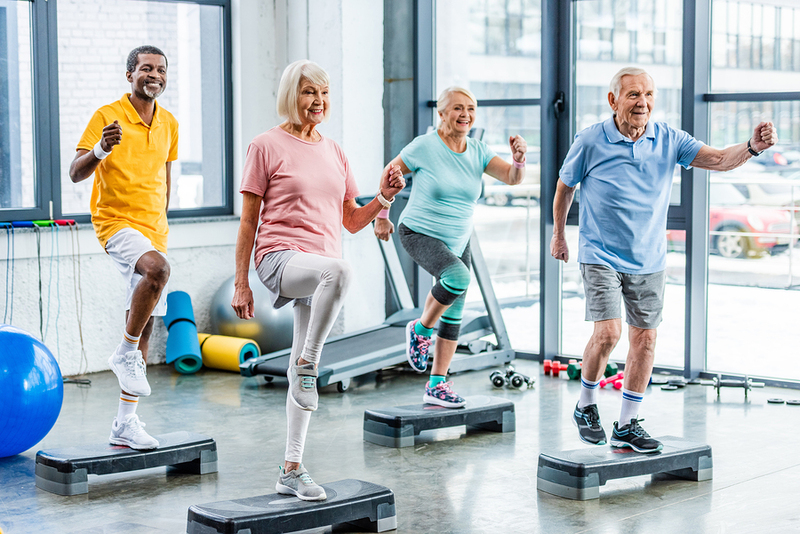 The health benefits of exercise have been shown to increase longevity and will help you enjoy a fulfilling and independent life for many years. Start Your Fitness Journey at the Y! Are you ready to start living a healthy, active lifestyle? The Y offers the perfect setting for a senior exercise regimen. In addition to club access, you'll also have access to group fitness classes, club activities, and off-site field trips. Contact us today or stop by one of our 4 locations to learn more and get started.